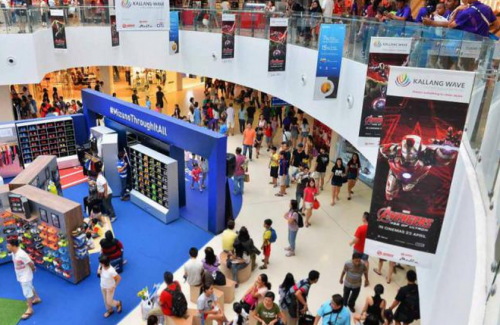 Customer satisfaction for the retail and infocomm sectors in Singapore edged up in the first quarter of 2015, results from the Customer Satisfaction Index of Singapore (CSISG) unveiled on Wednesday showed. The score for retail rose by 0.5 per cent or 0.4 points year-on-year (y-o-y) to 70 points while that for infocomm rose by 0.9 per cent or 0.6 points to 67.4. Of the eight retail subsectors, only two recorded statistically significant improvements: the motor vehicles subsector rose by 3.1 per cent or 2.2 points to 72.8 points; while the petrol service stations subsector - comprising ExxonMobile (Esso), Shell, Chevron (Caltex) and SPC - rose by 2.1 per cent or 1.4 points to 70.7 points. The six other retail subsectors - clocks and watches (69.2 points); departmental stores (68.6); fashion apparels (69.3); furniture stores (66.7 points); jewellery stores (69.3); and supermarkets (70.6) - registered y-o-y changes that were not statistically significant. "Despite minor movements in the retail scores, an analysis of the results found that the importance of customers' perceptions of value - the bang for their buck - in driving satisfaction has declined in the last two years. While price promotions for instance can help drive customers into stores, they have become increasingly insufficient in driving oversall satisfaction," said Marcus Lee, academic director at the Singapore Management University's Institute of Service Excellence, which is behind the CSISG. He told BT: "What are driving satisfaction levels more now are customer expectations - the pre-conceived notions of a company's performance - and customers' perceived overall quality - the measure of how well the product or service meets their personal requirements." Within the infocomm sector, the mobile telecoms subsector - of Singtel, StarHub and M1 - saw its satisfaction score rise by 1.7 per cent or 1.1 points to 68.4 points, while that of the broadband (64.9 points), pay-TV (65.1 points) and Wireless@SG (59.6 points) subsectors inched lower by 0.4, 1.5 and 1.9 points respectively. Notably, while a well-handled complaint in the infocomm sector typically leads to satisfaction levels similar to that of customers who have no reason to complain, infocomm customers with well-handled complaints in Q1 2015 were found to have a satisfaction score of 22.5 per cent lower than those who had no reason to complain. This compares to a difference of just 3.2 per cent a year ago. Said Dr Lee: "The larger discrepancy could point towards fundamental issues customers may be having with the telco's core product - issues that customer service may not be able to resolve, nor should it be expected to. Companies should use the opportunity to review its value proposition." He added that in the longer term, companies should use branding and communications to position the customer experience such that customers better know what to expect. "In essence, businesses are ensuring they are attracting the group of customers that will appreciate their service proposition," said Dr Lee. The Q1 2015 CSISG polled some 9,000 Singapore residents and tourists between January and March, and measured satisfaction scores for some 545 companies, of which 25 are distinctly featured in the results.